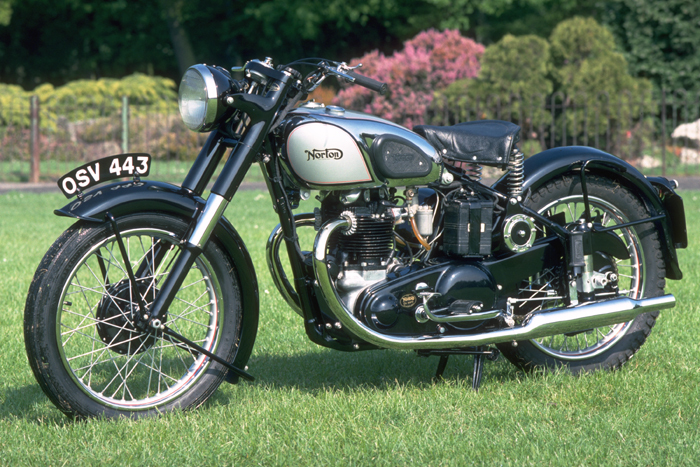 This model was the Norton factory's first twin cylinder machine of the modern era and made its debut at the 1948 Earls Court Show. Early versions used the plunger rear end frame with Roadholder forks, but in late 1952 the change was made to the swinging arm frame. The engine had a single carburettor and developed about 29 b.h.p., reasonable for its time. In 1954 a more effective 8" front brake was fitted and the cast iron cylinder head was superseded by a redesigned light alloy unit. A characteristic feature was the small light underneath the headlamp. Although the handling was not in the Featherbed class, it was of a good touring standard and the clutch action was beautifully light compared to the AMC clutch fitted to other later Dominators. From 1951, the Model 7 was rather overshadowed by its newer and more glamorous counterpart, the Featherbed framed Model 88, so sales of the former became somewhat fewer. It was quietly dropped from the range in 1956. 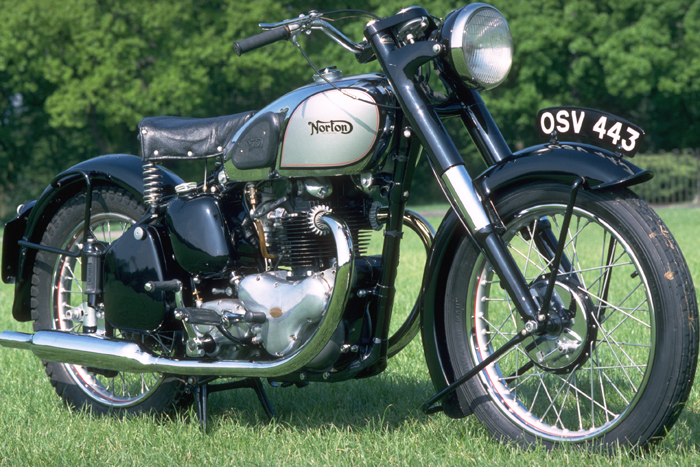 Launched at the 1951 Earls Court Show, the Model 88 was the first of nine Norton road machines to be equipped with the Featherbed frame and very rapidly became a best seller, eclipsing the older framed Model 7 with which it shared the same engine unit. The new frame had a bolt-on rear section with a loop running around the back to carry the mudguard but from 1954 onwards, this was welded into place. An 8" front brake also arrived in 1954, and for the following year, an alloy cylinder head, Amal Monobloc carburettors and full width wheel hubs. The Norton/Burman gearbox was replaced by the AMC box for the 1957 range and there was also a new camshaft. The cylinder head was modified for better heat dissipation, and the pear drop silencers gave way to a tubular design. Coil ignition with an alternator superseded the magneto and dynamo in 1958. There were then only cosmetic changes to the silencers and petrol tank until the Slimline frame came in for 1960. During its 15 year span, the Model 88 was produced at various times in Standard, Sports Special and De Luxe versions. The Standard version was produced until 1963, but the twin carburettor 88 Sports Special (88SS) brought out in 1961 continued until 1966, with a downdraught head being introduced from 1962. The De Luxe had a rear tinware enclosure and was in production from 1960 to 1962. 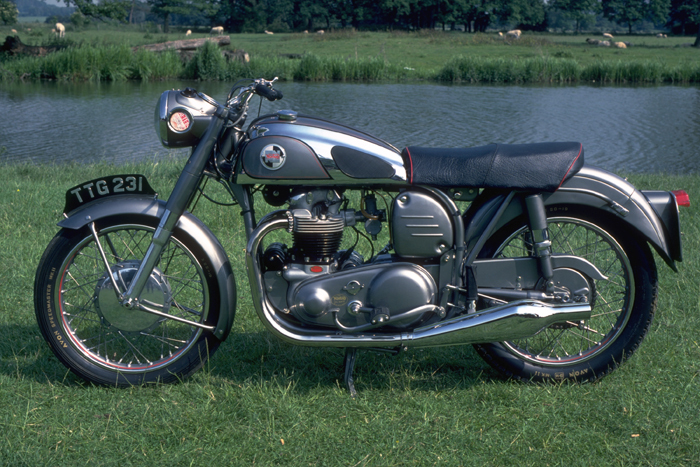 The Model 7 was dropped during 1956, already replaced by the more powerful Models 88 and 99 but later that same year, Norton introduced the Model 77, specifically for sidecar use as it was believed the Featherbed frame was not suited to this use. Although many parts such as the Roadholder forks were common to the other Dominators, the frame was not a Featherbed, but a single downtube type more closely related to the now defunct Model 7 item. Another major distinguishing feature was the elongated oil tank. 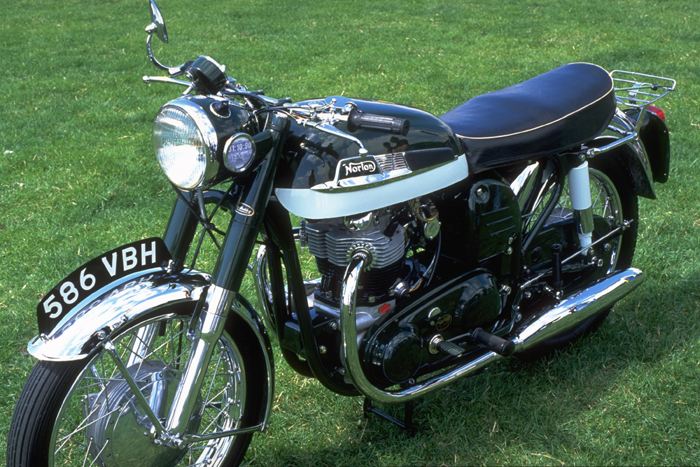 The 596cc engine however was identical to that used in the Model 99 and the colour was the traditional Norton black and silver. 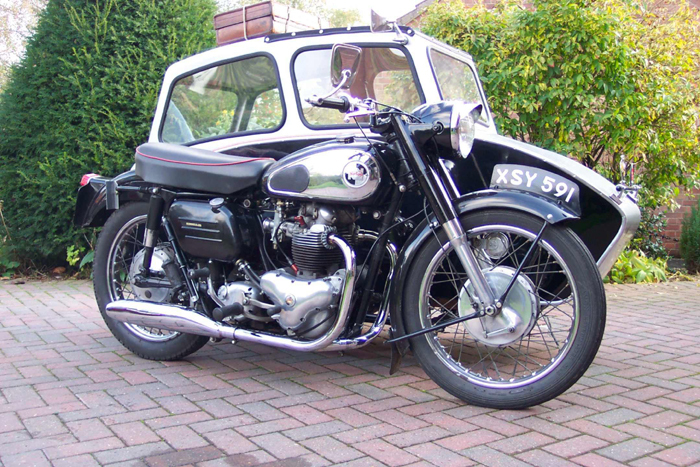 By 1958 it had been established that there were no problems with sidecars on Featherbeds, Norton produced Dominator variants with sidecar forks and springs and the Model 77 disappeared from the range. 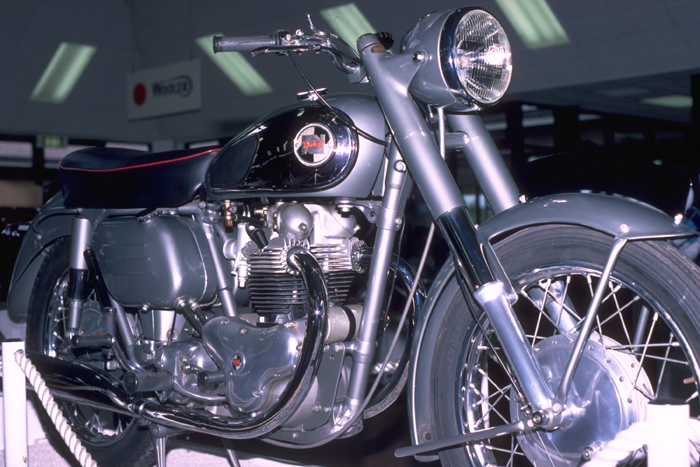 The Model 99 was added to the Norton range in 1956 in order to provide a machine with a bit more power than the existing 500cc Model 88, the extra torque quickly establishing its popularity. The larger capacity was achieved by increasing both the bore and the stroke of the engine, with which it is otherwise identical. 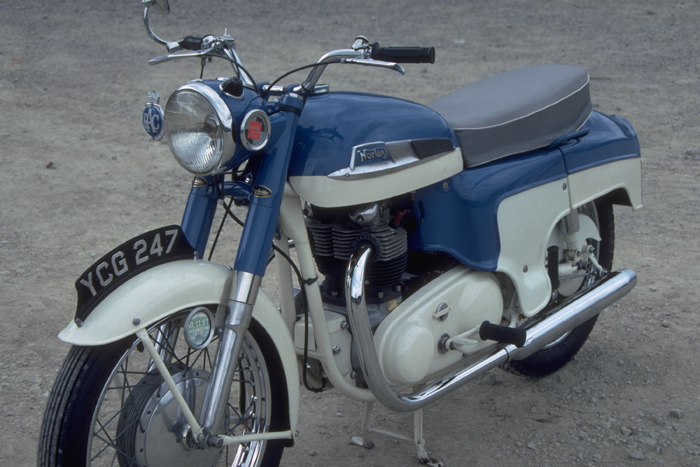 The original magneto and dynamo electrics were replaced in 1958 by a coil, distributor and alternator set up; the Model 99 however, never did get the downdraught cylinder head. The paint finish for the Standard version was polychromatic grey with options of blue or Post Office red. 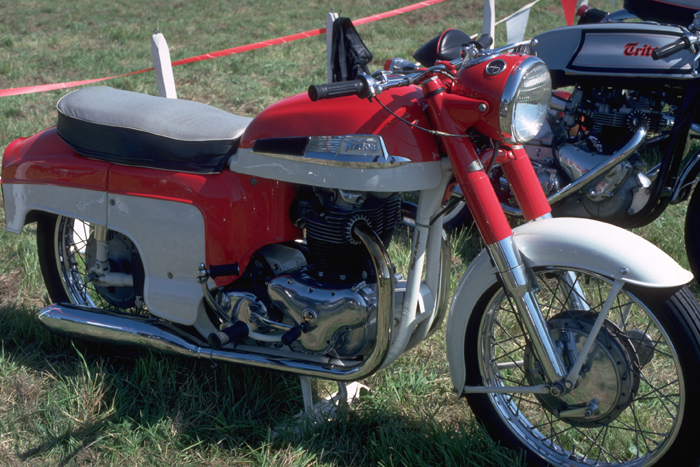 The Wideline Featherbed frame on the first Model 99 was superseded by the Slimline in 1960, coinciding with a twin carburettor 99 Sports Special (99SS) being made available. There were some modifications to the clutch in the same year, the plate order being juggled in order to have the sprocket plate as a solid one. 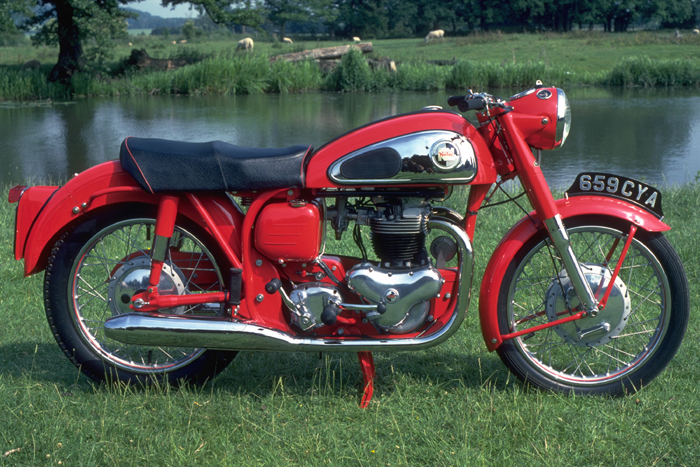 The De Luxe version was produced to satisfy a largely imaginary demand for semi enclosed machines and was Norton's response to similar efforts from Triumph and Ariel. The front half of the side panels were quickly detachable to permit access to the battery and other parts; with the number plate being removable, revealing a gap through which the rear wheel could be removed. Under the seat were the tool tray and the oil tank filler. Produced in the heyday of the coffee bar racer, a great many De Luxes were stripped for these purposes, resulting in it being a very rare model these days in its original trim. Colour options for the De Luxe were either red / dove grey or blue / dove grey. 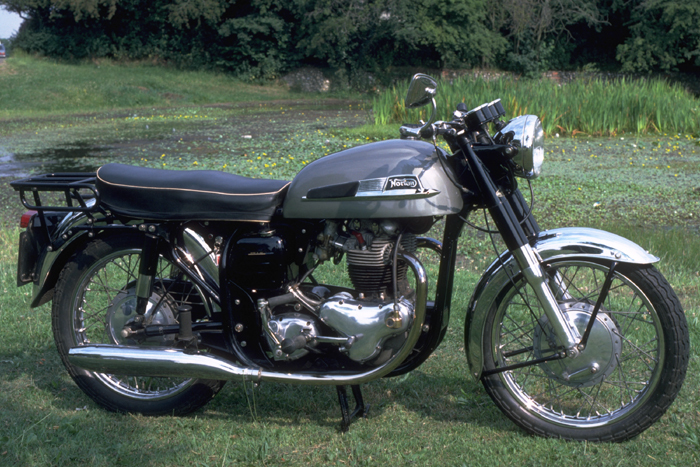 The production of all 99s ceased in 1963, the introduction of the larger 650SS and 750 Atlas making it somewhat redundant. 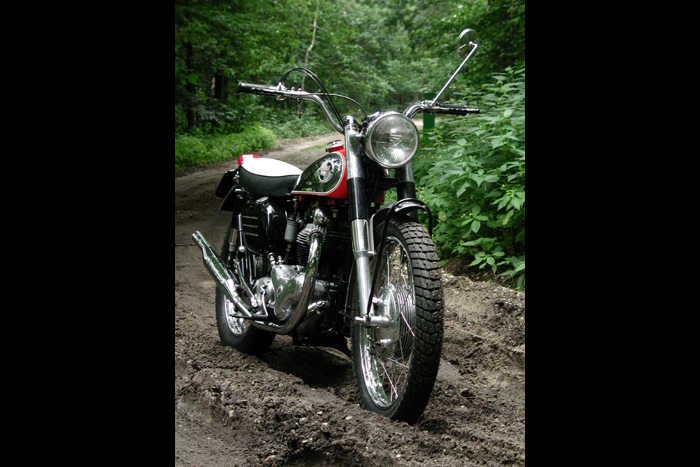 American styled street scramblers with the Dominator 500cc and 600cc engines in the Model 77 frame; for export only. 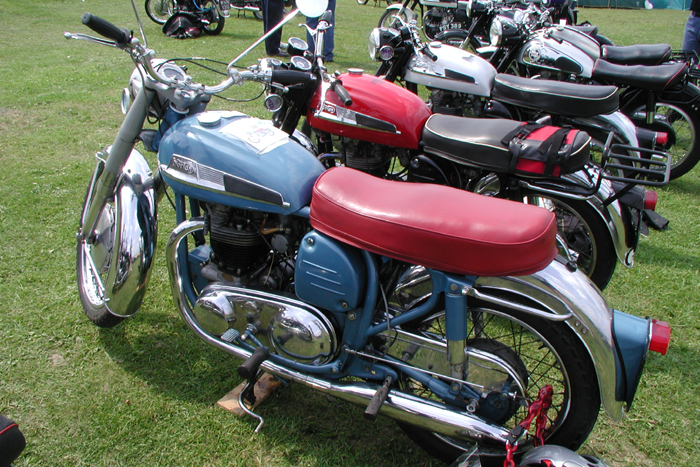 A rather rare export twin with all paintwork in polychromatic blue and a bright red seat with typically export designed high handlebars and a smaller petrol tank. 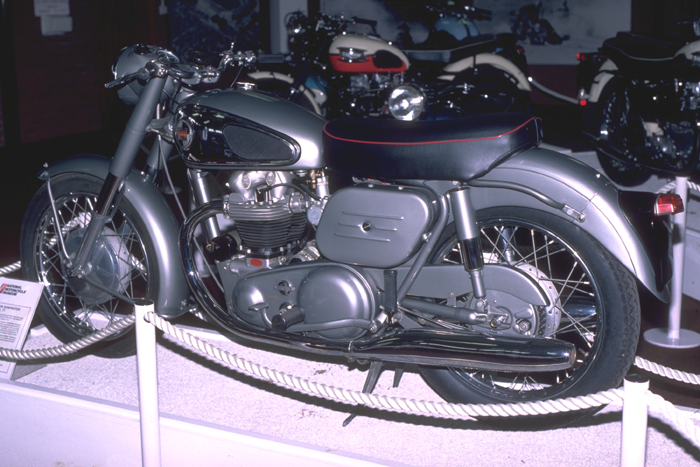 It was the forerunner of the 650SS. A further enlargement of the Dominator engine, the Model 650SS had twin carburettors, downdraught head, splayed exhaust ports, hot camshaft and high compression pistons. The silencer was the same as for the Model 99, but the exhaust pipes were of a smaller bore. 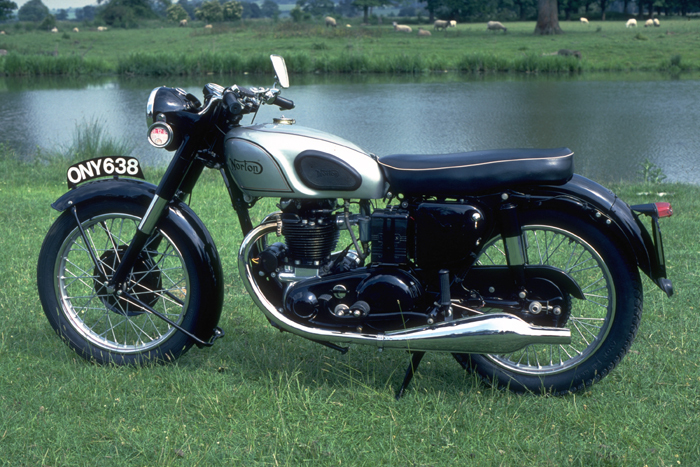 The 650SS was always finished in black, with a silver grey petrol tank. 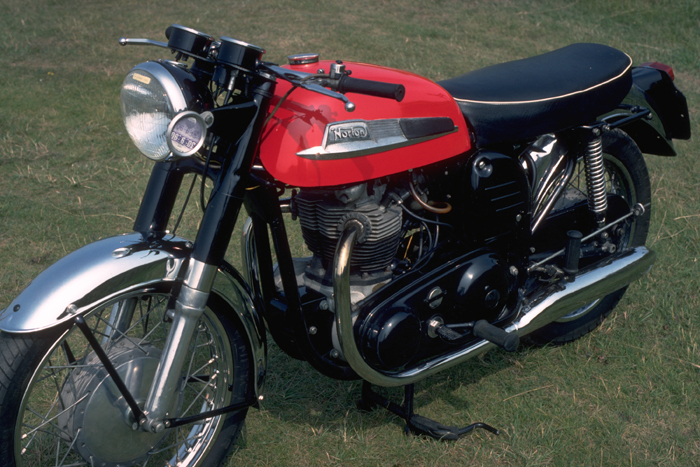 The 650cc engine was first introduced into the export only Manxman and then for a very brief time only into the short lived 650 Standard and 650 De Luxe models. 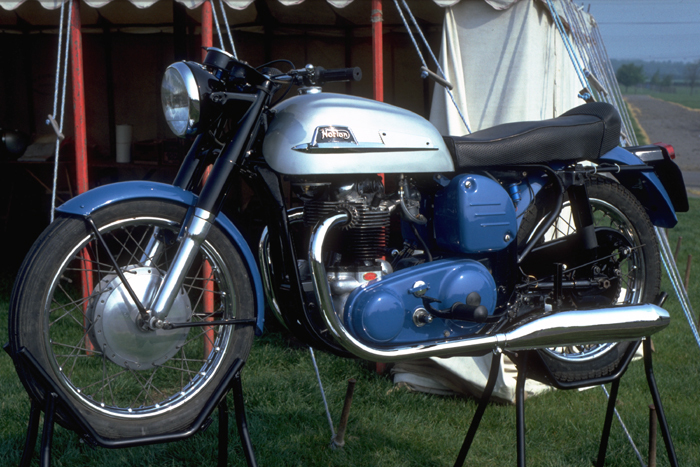 The 650SS had a production life from 1962 to 1968 and was a popular choice for production machine class racing, winning the important Thruxton 500 mile event in three consecutive years. As a road machine, it was highly rated for its performance, combined with the fine handling Featherbed frame. It received very little in the way of modifications during its life span, the most notable being 12V electrics in 1964 and Amal Concentric carburettors in 1966, with the magneto being replaced by capacitative discharge in 1967 until the last machines were produced. The Atlas was in production for 6 years from 1962, though for the first couple of years it was only sold on the export market, by far the largest number going to the Berliner Motor Corporation in the U.S.A. Although sharing identical styling with the 650SS, the Atlas was offered with several petrol tank colour options, black, silver, green and most popular, red. An easy recognition point is the breather exit on the left hand side of the crankcase at the end of the camshaft. The Atlas engine is an enlarged version of the 650SS with the bore opened out from 68mm to 73mm, giving a small but welcome power increase to 49 b.h.p. combined with a lot more torque but regrettably with more vibration. Handling is impeccable, thanks to the esteemed Featherbed frame, but the single leading shoe front brake does not rate too highly by modern standards. With the appearance of the revolutionary Commando in 1967, the Atlas became somewhat redundant and was deleted together with the 650SS from the range in 1968.